Found on the shelves of our new home, again, a book I would not have selected had I read the cover, but one I couldn’t read fast enough once I started. I spent most of my adult years reading medical thrillers (think Robin Cook) and legal thrillers (John Grisham), and mostly avoided anything that would have led to thinking about feelings. Coming from a dysfunctional childhood with lots of baggage best left packed, I avoided connecting to my emotional side. Then my kids grew up, I became ill and suffered for 2 years, and I suddenly understood that the healthiest thing I could do to enjoy the rest of my life was to face the demons I battled and embrace every emotion, even the painful ones. As the ability to read has returned, I’m feeling even more connected to books and more grateful to authors who invest of themselves for my pleasure. “The Secret Life of Bees” takes place in the 60s in South Carolina. Although the main character is a young white girl, Lily Owens, her much needed support system ends up being blacks in a time when racial unrest was prevalent. As I write that sentence, I should probably cross it out as the current United States continues to battle its own demons of racial divide. As a white person raised in Jersey, I do not have the emotional background of having to fight for my civil liberties, yet Monk made me connect to her characters in a way that hurt. I hurt for the country then; I hurt for us now. There is mystery surrounding Lily. She lost her mom at a young age, and the reader can only make guesses through most of the story how that occurred. What we are sure of, however, is the loss of mom, and life with an angry 1960s white farmer father, is painfully hard. She feels unloved. And that is where I connected closest to Lily. My childhood did include a mom, but a mom with 3 husbands and siblings only partially related. A mom who might as well have been absent, and a stepfather who didn’t know how to be a dad. Up until the last 4 years, I can honestly say I would have defined myself as unlovable. Unworthy. The catalyst for loss and never on solid ground when it came to faith in the world around me. Once I realized my connection to Lily, I was absorbed by Monk’s writing. If I were a highlighting woman, this book would have looked like the sun when I finished because I wanted to capture so much of the wisdom being shared with Lily by the beekeeping mom-substitute, August Boatwright. As I read the passages there were times when I just had to stop because I couldn’t read through the tears. I’m sure the author intended to evoke emotion, but I’m also sure she wrote this book just for me. For the Reading around the states challenge, this book takes place in South Carolina. Weird title for a book, huh? That’s because it is not. This is the first time I just quit. 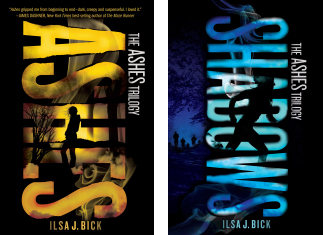 I read, but hadn’t yet reviewed book #1, Ashes by Lisa J. Bick. 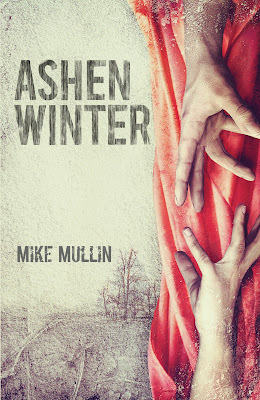 It is the story of the world after an EMP happens and not just electronics are affected. For unknown reasons, depending on a person’s age or health conditions, they either remained the same or became one of the “changed”. This story focuses on a teen orphan with cancer who now exists in a world of danger. Earlier in this blog I discussed the validity of “reading” via audiobooks. Friends disagreed with me that audio was an acceptable format to count as reading. Since I am both a book reader and an audio book listener since the days of cassette tapes, I disagreed. For some, audio books make reading a possibility. I do not like silence so as I cook, clean, walk, I enjoy the stories being told to me to keep me distracted. Okay, so for the first time I am perplexed by my response to this book, and the second book in the series, Shadows, which I just stopped listening to on my iPod. I literally could not take any more of the story. Too many characters, too much going on, I didn’t like any of the people so it is hard to care about the story itself. Finally, the narration in this story was enough to drive me insane. Her voice was fine, and when she spoke in a normal tone, it was acceptable. Unfortunately, this book is NARRATED AS THOUGH MOST OF THE SENTENCES ENDED IN FIVE EXCLAMATION POINTS!!!!!!!! LITERALLY!!!!!!!! THIS IS WHAT I HEARD IN MY HEAD FOR HOURS AND HOURS AND I NO LONGER COULD STAND TO BE YELLED AT AS THOUGH LIVING THROUGH AN EMERGENCY!!!!!!!!!! 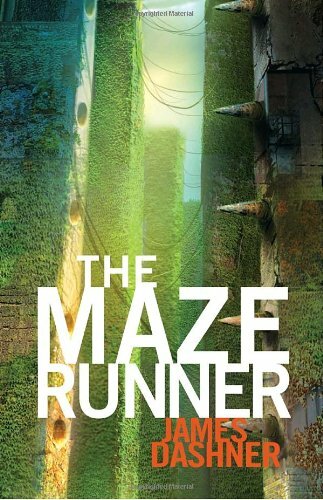 After considering book 1 acceptable, by 3/4 through book 2 I decided my mental health meant allowing myself to walk away. Just walk away. Perhaps in another time and space I will pick up a copy of Shadows to read to myself, but that is after I have recovered FROM THE CONSTANT YELLING!!!!! !